For terminally ill people living in a rural area like Kingsbridge, it can be more difficult to get the specialist end of life care they need at home – if that’s where they choose to be looked after – than it is for their urban counterparts. Last year at the Who Cares in Kingsbridge event facilitated by St Luke’s, local people expressed their desire to work together in a supportive network to enable choice and encourage compassion for those in their community for whom time is running short. However, they highlighted the need for a properly co-ordinated approach to harness their efforts. Recently, thanks to funding from Hospice UK for the new role of Community Network Co-ordinator for Kingsbridge, St Luke’s has been able to respond to this need. We have appointed Robyn Newport, who is looking forward to getting to know local business owners, voluntary groups and health care services to help establish a Compassionate End of Life Care Community within the town. As part of her remit, Robyn will also be delivering free Compassionate Friend, Compassionate Champion and Compassionate Network Co-ordinator training, giving people the skills and confidence to have open, honest and sensitive conversations and think about ways they can support others in their community. 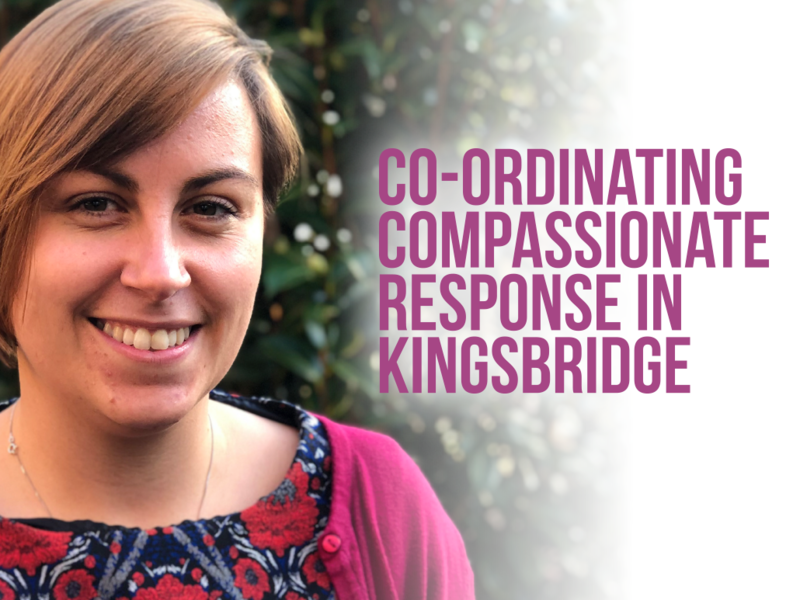 If you’re based in Kingsbridge and would like to meet Robyn, or are interested in becoming a Compassionate Friend, Champion or Co-ordinator, please head over to our webpage.